UE4 has support for real-time Planar Reflection that can give more accurate looking reflections than Screen Space Reflections (SSR) provide but come with a higher rendering cost. This higher rendering cost is due to how Planar Reflection works, as Planar Reflection actually renders the level again from the direction of the reflection. Screen Space Reflections (SSR) are much more efficient than Planar Reflections when it comes to rendering, but are also much less reliable.The image comparison below shows the limits of SSR versus Planar Reflections. Screen Space Reflections: The image on the left shows the limitation of Screen Space Reflections. 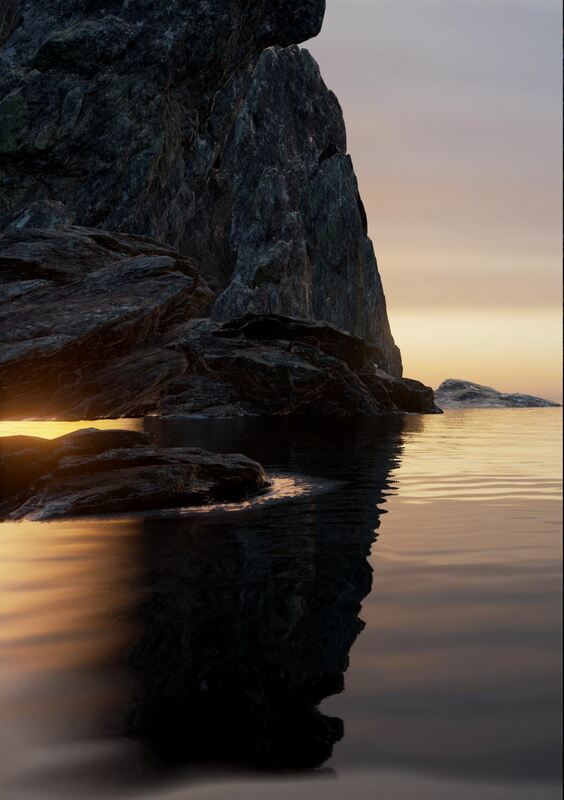 Notice the significant amount of 'leaking' that happens at the edges of the image. This happens because SSR can not reflect objects that are off-screen. Planar Reflections: The image on the right shows the same level, however, this time, Planar Reflections have been enabled. Notice how there is no leaking in the image, even at the sides. This is because Planar Reflections can reflect objects that are off-screen. From the Main Toolbar go to Edit> Project Settings and from the Project Settings menu, go to the Rendering > Optimizations section. 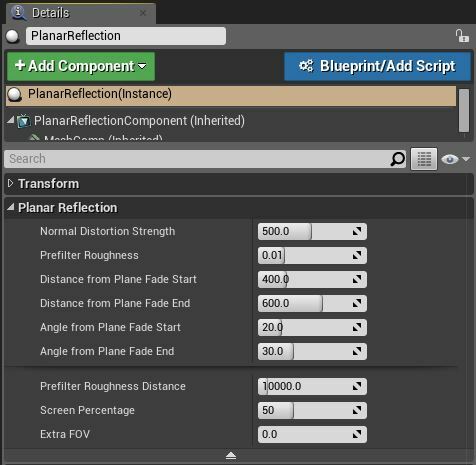 Click on the check box next to Support global clip plane for Planar Reflections and re-start the UE4 Editor when prompted. 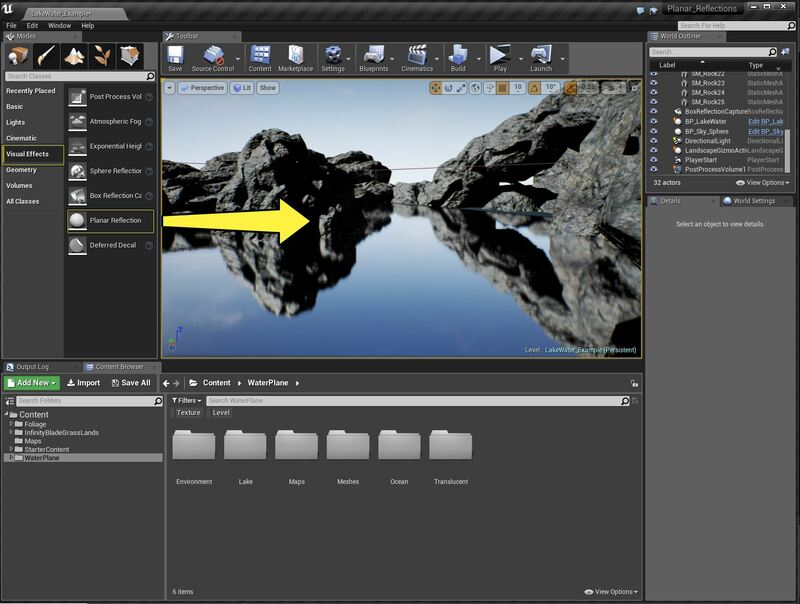 Failing to re-start the UE4 Editor after Planar Reflections are enabled will result in Planar Reflections not working. 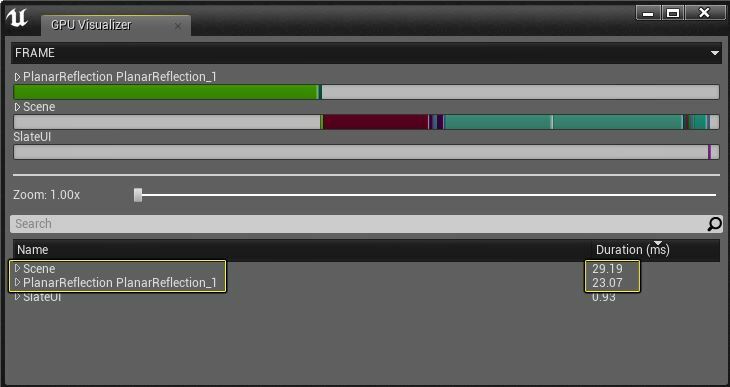 Once the UE4 Editor restarts, go to the Modes panel and from the Visual Effects section, select and drag a Planar Reflection Actor to the level. With the Planar Reflection Actor now placed in the level, you can now use the G key to hide and unhide the Actor. 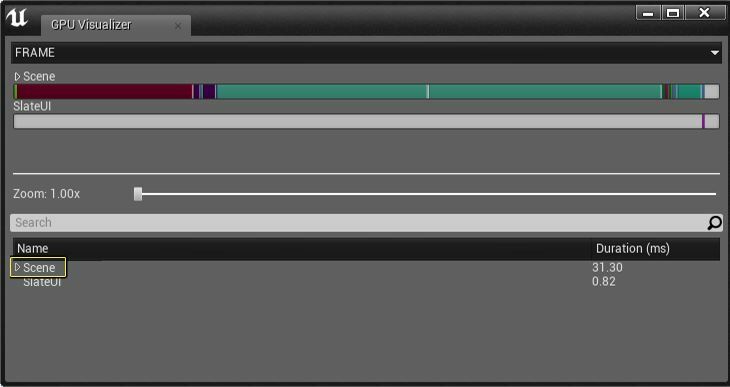 You can also use the Move, Rotate, and Scale tools to better position and size the Planar Reflection Actor to meet your levels needs. Any nearby reflective Materials will automatically be affected by the Planar Reflection Actor as soon as it is added to the level. Static Meshes that are placed in the level will also have their normals used to distort the reflection, allowing for the simulation of waves. The Planar Reflection Actor has a number of properties that when adjusted can significantly affect the look of the reflection. The following table outlines these properties and how they will change the look of the Planar Reflection. Normal Distortion Strength Controls the strength of normals when distorting the planar reflection. Prefilter Roughness The roughness value to prefilter the planar reflection texture with, useful for hiding low resolution. Larger values have larger GPU cost. Distance from Plane Fade Start Receiving pixels at this distance from the reflection plane will begin to fade out the planar reflection. Distance from Plane Fade End Receiving pixels at this distance from the reflection plane will have completely faded out the planar reflection. Angle from Plane Fade Start Receiving pixels whose normal is at this angle from the reflection plane will begin to fade out the planar reflection. Angle from Plane Fade End Receiving pixels whose normal is at this angle from the reflection plane will have completely fade out the planar reflection. Prefilter Roughness Distance The distance at which the prefilter roughness value will be achieved. 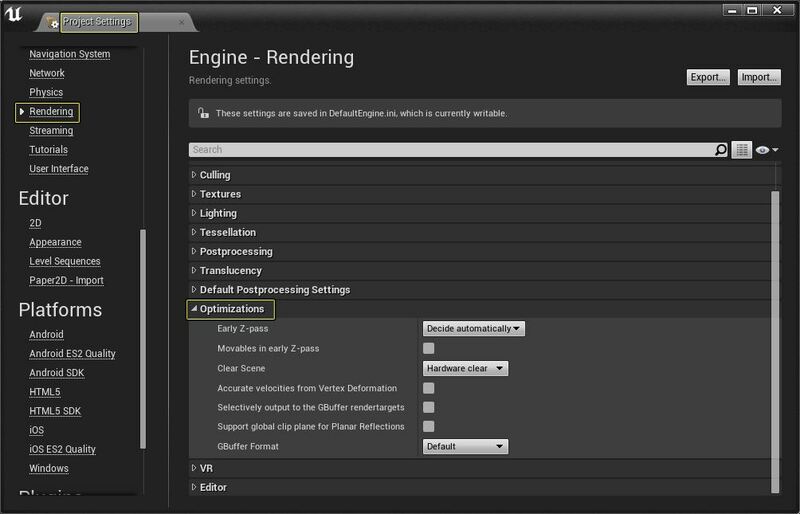 Screen Percentage Downsample percent can be used to reduce GPU time rendering the planar reflection. Extra FOV Additional FOV used when rendering to the reflection texture. This is useful when normal distortion is causing reads outside the reflection texture. Larger values increase rendering thread and GPU cost, as more objects and triangles have to be rendered into the planar reflection. While Planar Reflections offer some very realistic reflections, this features does have a number of limitations which are listed below. There's no way to control what rendering features are enabled in the reflection pass. Dynamic shadowing and fog are incorrect in the reflection pass. Only a constant Roughness value is supported, and it's specified on the Planar Reflection Component instead of Materials. 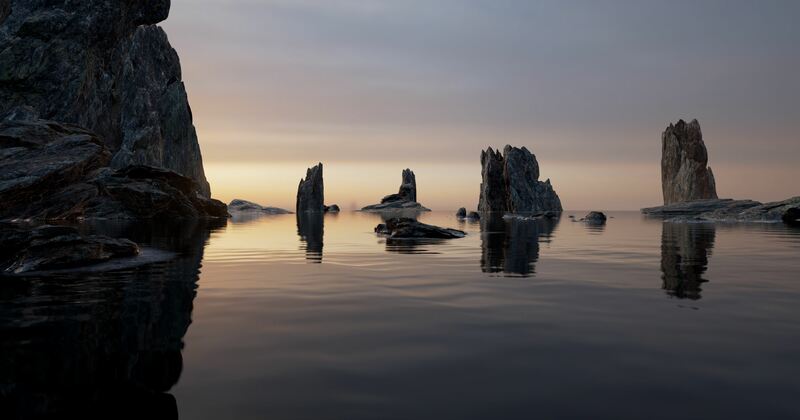 If at all possible limit the amount of Planar Reflection Actors placed in the world to only one and move, rotate, or scale it to best fit the world. While you can use multiple Planar Reflection Actors, you need to exercise caution as Planar Reflection Actors don not do any sort of distance culling, only frustum, and occlusion culling. Because of this if both Planar Reflection Actors are in view at the same time your project's frame rate will suffer severely. The cost to render the Planar Reflection Actor comes directly from what's currently being rendered in the level. Scenes that are triangle and draw call heavy will suffer the most performance issues when this feature is enabled. 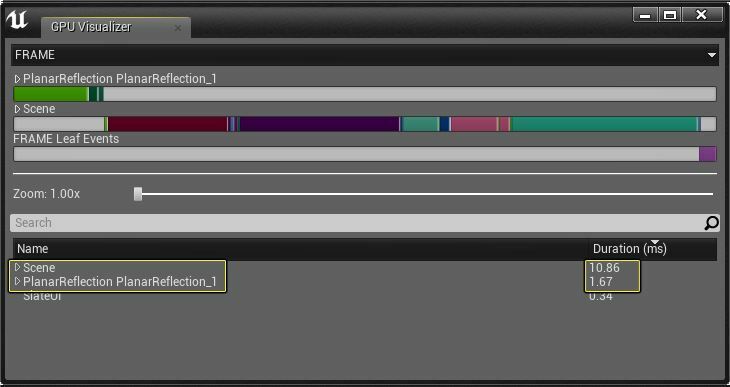 To avoid this you must ensure that you budget enough resources so that when enabled, Planar Reflections, do not make your project run slower. 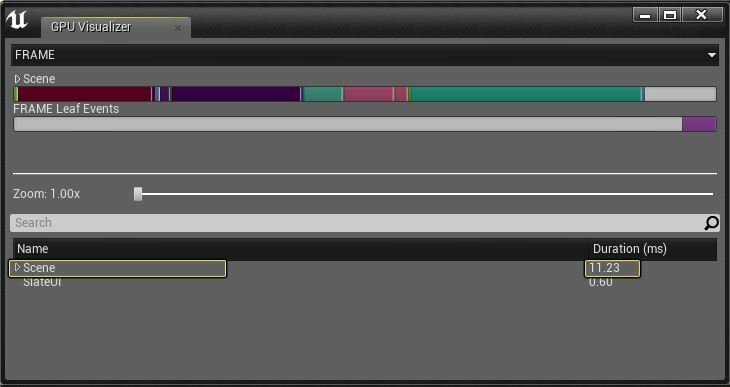 While enabling and using Planar Reflections in your project will give you crisp and reasonably accurate reflections, this option will have a direct impact on the project's performance. The impact that Planar Reflections will have on performance is not something that can quickly be determined as its impact on performance is directly related to the complexity of both the Static Meshes and Materials used in the level. Levels that use Static Meshes and Materials with high triangle and instruction counts will suffer more performances issue than projects that use less because the Planar Reflection is effectively duplicating all of these assets to make the reflection. 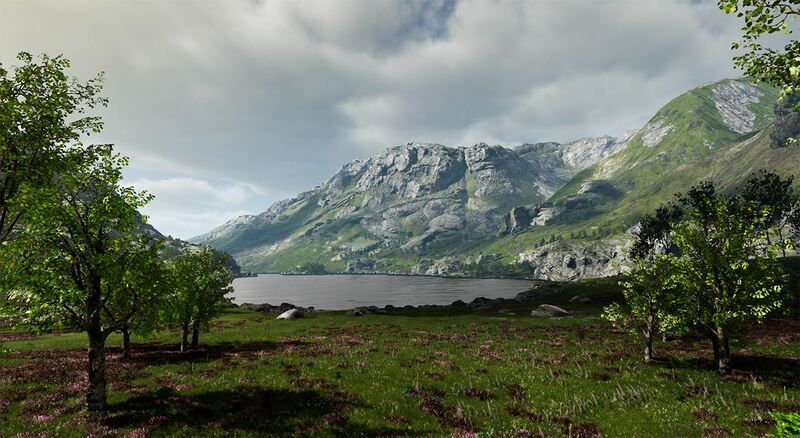 In the following section, we will take a look at the performance impact enabling Planar Reflections will have when enabled in a high-end PC project as well as a project that geared towards mobile devices. To show off, the performance impact Planar Reflections have we will be using the 4.12 version of the Kite & Infinity Blade Grass Lands project that can be found in the UE4 launcher. Due to the size and varying height of the Kite demos Landscape terrain, adding and then scaling a single Planar Reflection Actor to encompass the entire level would not work and could lead to very poor performance. Instead, Planar Reflection Actors were strategically placed and scaled to fit areas of the level that needed them. 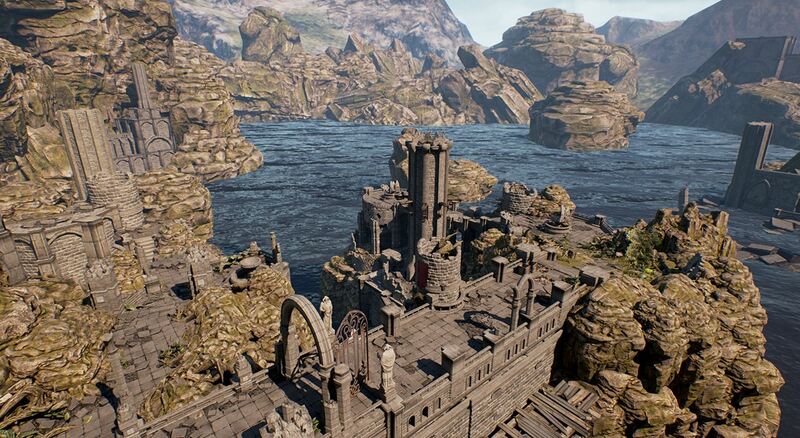 In the following image, we can see what the visual impact Planar Reflections have on water used the Kite demo. While the visual impact Planar Reflections have on the level is quite dramatic, so is the impact they have on performance. If you take a look at the left hand image below, Planar Reflection Off, you will see that the entire level is taking 31 ms to render. If you take a look at the right hand image, Planar Reflections On, you will see that the entire level is taking 29.19 ms to render. 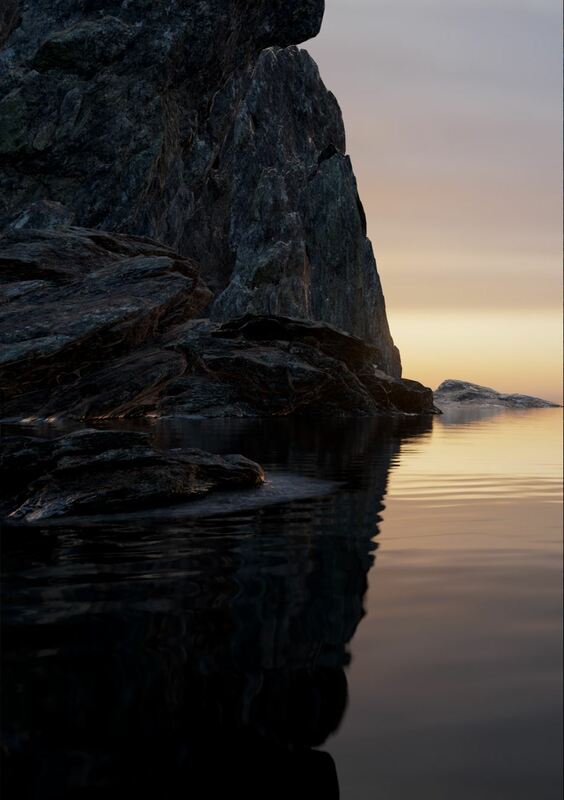 On top of that, Planar Reflection are adding an additional 23.07 ms of rendering time bring the total time to render the scene with Planar Reflections enabled to around 52 ms.
Click for full image Click for full image. The reason why Planar Reflections are taking around 31 ms to render is due to the complex nature of the level. If you were to reduce the complexity of both the Static Meshes and their Materials the cost to render the Planar Reflections would decrease. Due to the size and layout of the Infinity Blade Elven Ruins map, only one Planar Reflection was needed and it was scaled to match the already existing water Static Mesh that was placed in the level. 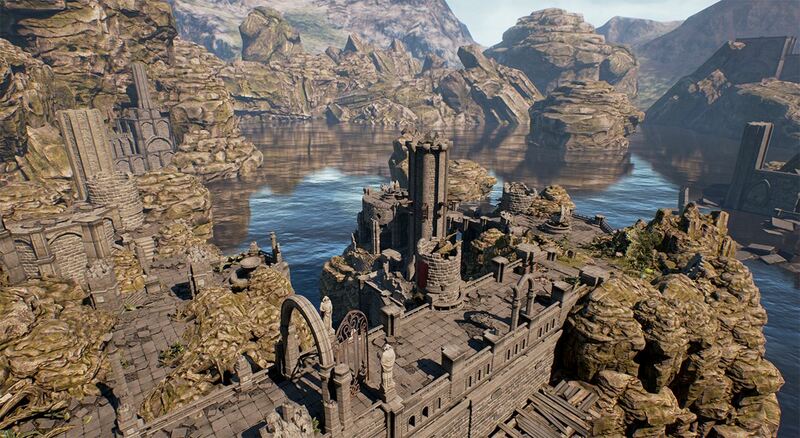 In the following images, we can see the visual impact adding a Planar Reflection has on the look of the water in the Elven Ruins map. While adding a Planar Reflection makes the water look more lifelike, the impact it has on performance is quite small when compared to the Kite Demo. If you take a look at the image on the left hand side below, Planar Reflections Off, you can see that without Planar Reflections the scene is costing around 11 ms to render. If you take a look at the image on the right hand side, Planar Reflections On, you can see that with Planar Reflections cost around 1.67 ms to rendering bring the total time to render the level to around 13 ms. The reason that Planar Reflections only cost 1.67 ms to render in the Elven Ruins map versus the 23.07 ms that it takes to render the Planar Reflections in the Kite Demo is due to how the Static Meshes and Materials that are used in the Elven Ruins were built. Since the Elven Ruins map and it's content was designed for mobile devices, close attention was paid to the amount of triangles and Material instructions each asset used. Because of this, when Planar Reflections are enabled in the Elven Ruins map, they will cost less as the assets that are used in the map are greatly reduced in complexity and size when compared to the Kite Demo assets.